Many councils around the world now have a law stating a dog owner must clean up after their dog when out for a walk. New Jersey was the first council to pass such a law, back in 1971. An owner can be fined for not obeying the law but there are other reasons to clean up after your dog. The sight and smell of dog faeces on a footpath is disgusting. Stepping in the stuff is even worse. Even if your dog is small, or does its business next to a fence where people are unlikely to walk, it is still important to clean up. One gram of dog faeces is said to contain as many as 23 million bacteria. Pet waste attracts flies, fleas and other insects which transmit disease. If the dog you are walking has a disease such as parvo, other dogs can easily contract the disease from the infected droppings. 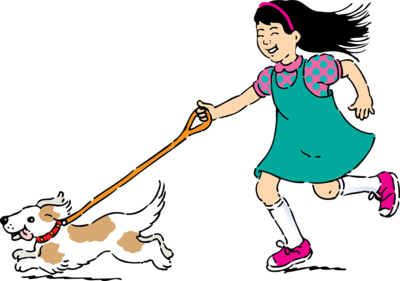 Some people walk the dog of a friend or elderly neighbour or relative. For some, walking the dogs of people who are too busy or have gone on vacation is a way of making a bit of pocket money. The dog, unbeknown to you, may not be up to date with vaccinations and may be in the early stage of a disease and you may not realise why the dog is lethargic today. Dog droppings that are not cleaned up get washed into stormwater drains when it rains. That stormwater drains into creeks and then into the sea. Sewerage is treated but stormwater is not. The polluted stormwater can kill native plants and animals. It also makes for unsafe swimming conditions where the stormwater drains into the ocean. Always take dog litter or plastic bags with you when you take your dog for a walk. Clean up after your dog even if your dog is small. Dispose of the waste in your toilet, garbage bin or a pet waste disposal tank. Don't flush dog waste off the path into the gutter. It is important to clean up after your dog, not only because you might get fined if you don't. You are also preventing the spread of disease and doing your part to keep creeks, rivers and beaches clean.